Primrose and pansy plants are the perfect way to splash your garden with some spring colour and these potted plants will do just that. This impressive mix of primrose plants will brighten your garden this spring and has been specially selected by us to include one or more of three fantastic varieties – Select Mix, Starflame and Rambo. 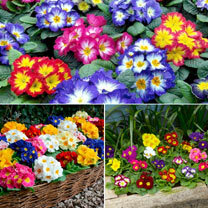 Plus when you buy the Spring Primrose plants you will receive 18 Pansy Select Mix plants worth £18. 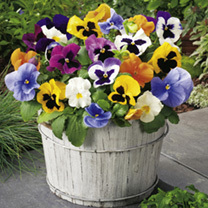 All plants supplied in 9cm pots. Flowers late winter through to spring. Height 15cm. Please note image for illustration purposes as a guide to what you will receive.